Lark Rise to Candleford is part memoir, part history, and a lovely tale of growing up in the English countryside. The volume contains three books: Lark Rise, Over to Candleford, and Candleford Green. The story celebrates all the tiny details of nature, first through a child’s eyes and later through those of a young woman. The author, Flora Thompson, relished and observed all the little things in the hedgerows, and in the woods, and in village life before the turn of the century. She understood this village life on an intimate level, both the harshness of poverty, having lived alongside it, and the beauty of its industrious, self-sufficient inhabitants, and she wrote beautiful descriptions of the surrounding landscapes and farms that tie the book together like a thread. Laura’s world moves from this isolated hamlet to the larger town of Candleford and eventually to a village called Candleford Green as we see her become a young woman through the three stories. For modern day readers it is a beautiful picture of life right on the edge of the Industrial Revolution. On this side of it, we see all that we have lost. 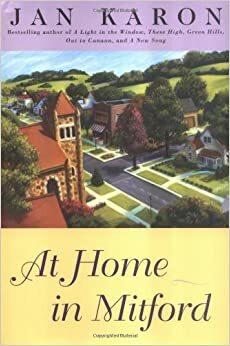 For an older reader like myself it is to be reminded of my own grandmother’s stories from her childhood only a few decades removed from Laura’s. I was surprised to see that many of the songs and games the children played were the same ones Grandma taught us. She also told similar tales of the wild outdoor freedom and responsibilities (and dangers) that children enjoyed – and today’s children may never know. 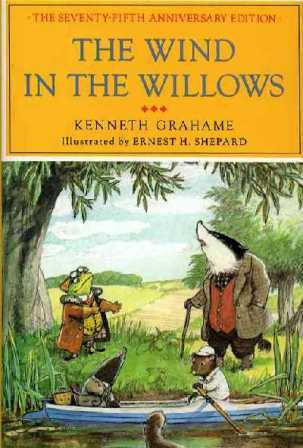 I was blessed to grow up in a small semi-rural town where it was safe to explore the woods and meadows, and I love this book because it took me back to those memories. In these living history essays, you may even be able to trace shades of the old ways through your own family’s story. 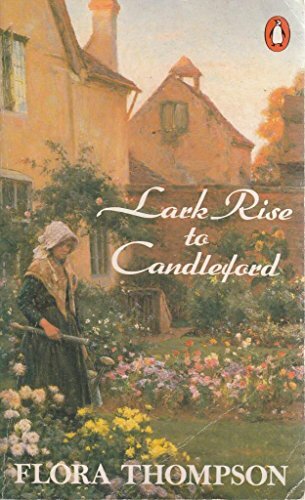 While the first book, Lark Rise, is full of images of everyday life, the second book, Over to Candleford, depicts how Laura’s world opens up when she begins to spend her summer holidays with her cousins in a neighboring town, eight miles away. The final book, Candleford Green, sees Laura off to her new life as an assistant in a village Post Office. But Laura never loses her love for her humble upbringing or her heart for nature; she moves out into the world with youthful hope, never forgetting what it was to have her shoes ‘powdered yellow with buttercup pollen’, to see the copses full of bluebells and the water-meadows with cowslips or the warm-hearted faces of the people she knew. She carries the picture with her and is able to call up at will the beauty maybe only she recognized there. Read it slowly, outside in the warm sunshine, where you can hear the wind in the trees and you may be able to catch a glimpse of it, too.